Every week during the offseason, we will pick a former St. Cloud Rox player who is excelling in the minor or major leagues as the Player of the Week. This week, it’s Logan Salow, a left-handed pitcher and former Northwoods League All-Star who played in St. Cloud during the 2016 season. 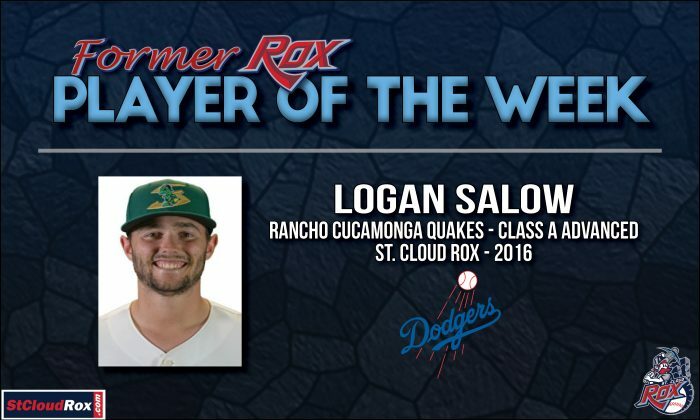 Salow, who is 23 years old, is currently playing in the Los Angeles Dodgers organization with the Rancho Cucamonga Quakes. During the past week, Salow made two appearances on the mound, tallying 3.2 shutout innings in relief. He gave up just one hit and struck out four. In 41.2 innings of work for the Quakes this season, he holds a 3.02 ERA and a record of 4-2, giving up just 14 earned runs while striking out 51. Salow, who was drafted by the Oakland Athletics in the sixth round of the 2017 Major League Baseball Draft, appeared in 11 games for the Rox in 2016. On the mound, he pitched a total of 56.1 innings, grabbing a record of 4-3 with an ERA of 3.99. During that span, he gave up just 25 earned runs and struck out 70 batters for St. Cloud. Salow also represented St. Cloud on the 2016 North Division All-Star team, pitching 2/3 of an inning, giving up no runs and recording a strikeout in the game. 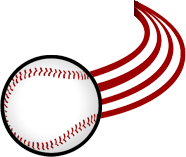 To stay up-to-date with every former Rox player in the minor leagues, click here.